Margaret Graham, 74, has her blood pressure checked while visiting the Wake Forest Baptist Medical Center in Winston-Salem, N.C., on Friday, July 13, 2018. She had participated in a multi-year study, published on Wednesday, July 25, 2018, investigating a connection between high blood pressure and the risk of mental decline. "I feel like maybe with this study, some findings may come that will develop new drugs and also new activities, exercise, theories that will help people to maintain an acceptable blood pressure level," Graham says. 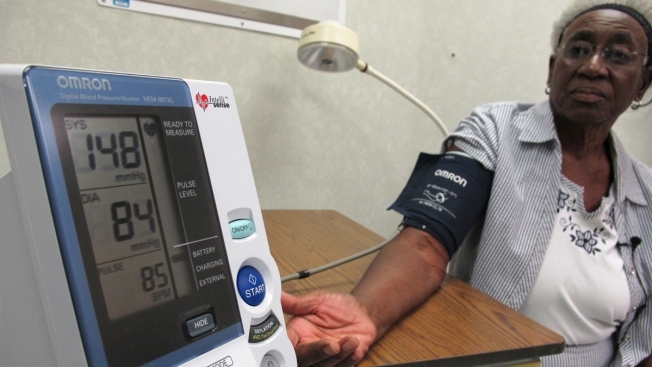 Lowering blood pressure more than usually recommended not only helps prevent heart problems, it also cuts the risk of mental decline that often leads to Alzheimer's disease, a major study finds.